2010 Indian Premier League - IPL3 Deccan Chargers beat Kings XI Punjab 51st Matches win 5 wickets with 5 balls remaining, Friday, 16th April, 2010, at Dharmasala. 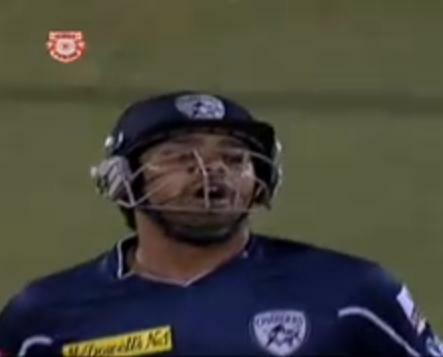 KXIP 174/3 in 20 overs while DC made 178/5 in 19.1 overs. man of the Match is Rohit Sharma who made 68 runs not out. Kings XI Punjab were 98 after 15 overs, Deccan reached 98 in 11. Deccan generally bowled tripe in the last five to reconfirm their reputation of being worst at the death, and their batsmen kept getting out regularly to bowling that was not extraordinary. Toss - Deccan Chargers, who chose to bowl first.